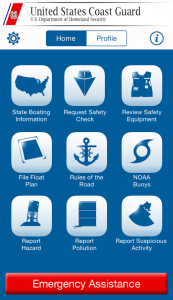 These photos may not be used to infer or imply U.S. Coast Guard Office of Boating Safety endorsement of any product, company, or position. Please do not distort or alter the images the photos portray. Sorry! There were no images found matching your criteria. Selecting a category without a keyword will produce more results. Category *: Select--> ABC Anglers Freshwater Anglers Saltwater BUI Alcohol BUI Arrests CO Family Hunters Life Jackets Navigation Signs Paddlers Flat Water Canoe Paddlers Flat Water Kayak Paddlers White Water Canoe Paddlers White Water Kayak Personal Watercraft Recreational Boating U.S. Coast Guard Vessels VSC Items VSC U.S. Coast Guard Auxiliary VSC U.S. Power Squadrons Please select an item.